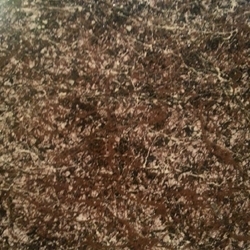 Counter FX is a product used to give a spider web effect to refinished counter tops. Counter FX dries in minutes and can be knocked down to give a smoother surface. A necessary clear coat will protect the finish and give a nice shine. Counter FX is available in quarts. Counter FX is different from other products in that it doesn't float when you spray it. It goes where you want it. Other products have what's called "particle float", meaning it goes all over--everywhere! Counter FX sprays where you want it. Changing the spray angle will give a different look and effect. To tint the Counter FX you mix 95% Counter FX to 5% of one of our Never Mar Ultra B counter colors.